Students say: "When it comes to Burlington, it was love at first sight." The city excites with its arts scene, shopping, dining, festivals ... and thrives as a center of innovation and entrepreneurship. Burlington gets national attention for its music and food scenes — both are Vermont fresh and often accented by the city's rich ethnic diversity. 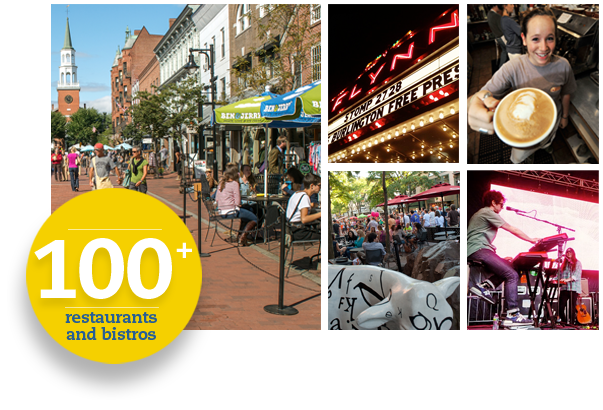 At the heart of all is Church Street, a pedestrian marketplace featuring brand-names like L.L. Bean, Banana Republic, Lululemon, along with local outfitters and boutiques. Food carts, outdoor eateries, street performers, yoga studios, tea houses and coffee shops — they all contribute to the independent urban vibe you've heard about. The city's many theaters feature local talent along with acts from Broadway and other world stages, while our 45+ studios and galleries leave no question why Burlington is revered for its creative culture. Burlington offers unique opportunities to get involved and gain experience. Forbes called it a "Top 10 Tech Hub," while Business Insider named Burlington one of "15 Hottest Cities for the Future." 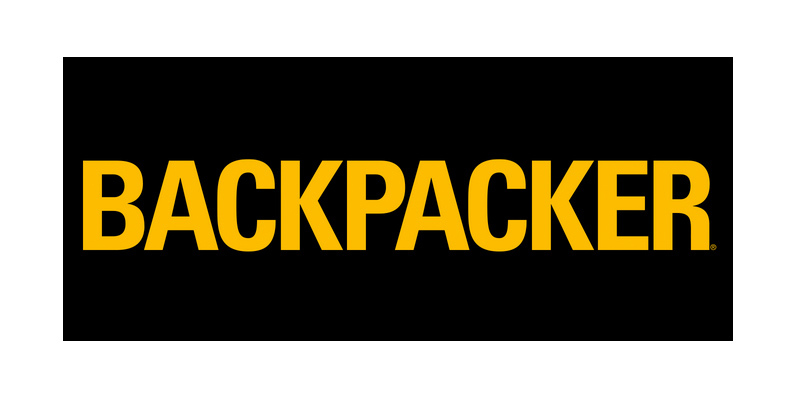 Students find internships with burgeoning tech, food systems, energy, design, sport, environmental and other industries that are placing Burlington, Vermont on the global map. 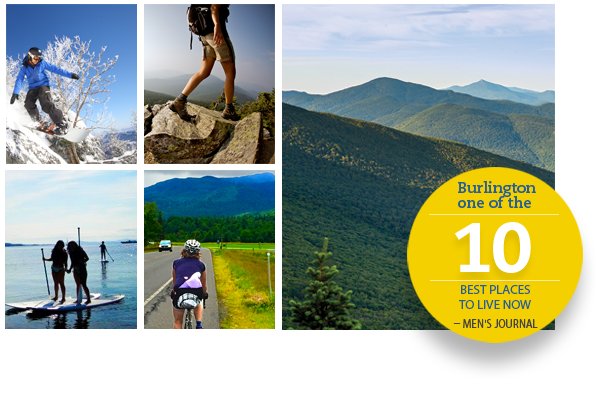 Outside magazine named Burlington a "Best Town Ever"; National Geographic calls it a "Top Adventure Town." It's easy to find quick outdoor escape right in the city. 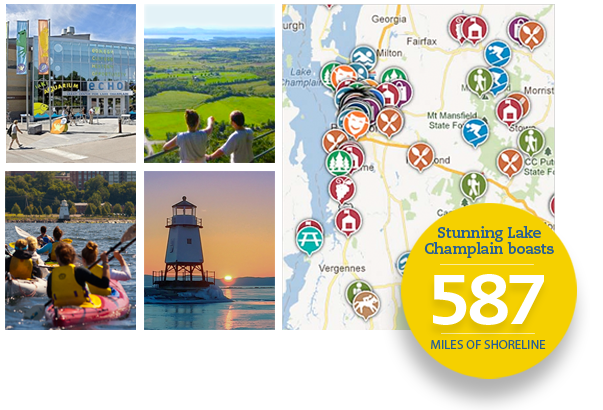 Lake Champlain (1 mile from the UVM campus) boasts a beautiful waterfront park, 12-mile bike path along its shoreline, and 3 sand beaches with stunning views. More bike routes and nature trails weave in and around the city. For weekend adventure, hiking, skiing, snowboarding, mountain biking ... and some of the Northeast's favorite resort towns are but an hour away.